Today's project features a new host set from the Holiday Catalog called Hung with Care! This set is adorable and I love all the different stockings not to mention to curly font! Today's card is very simple but cute. 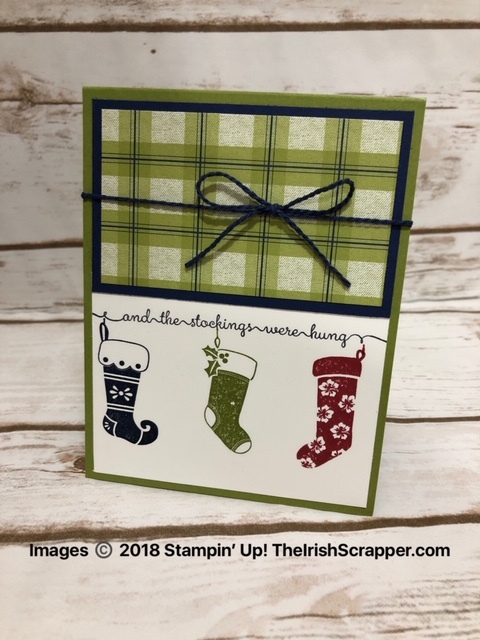 I used the Stamparatus on this project which is our awesome precision stamping tool. 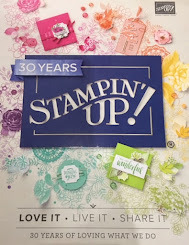 It make lining up stamps and sentiments so easy. To purchase this stamp set, you just need $150 order in my online store and then choose this set as your reward. You can always combine orders too with family and friends.